This collection was actually based around the aesthetics of England and its typical aspects within the summer’s countryside. 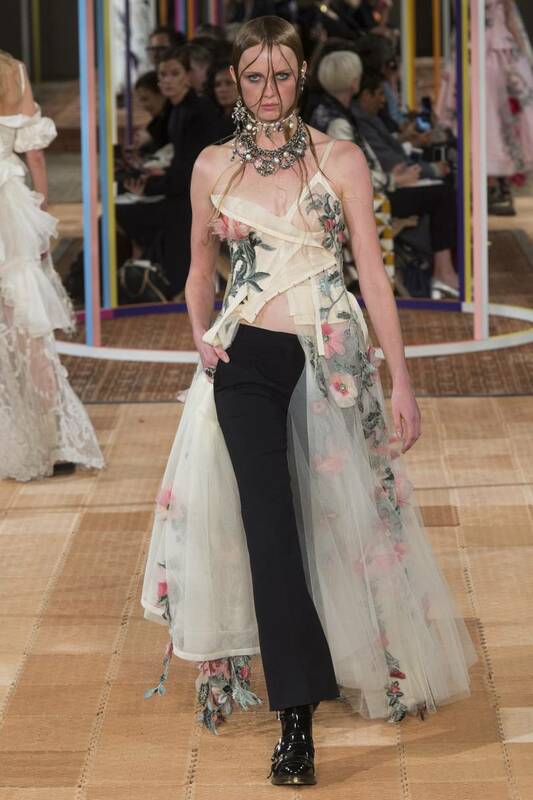 This idea is really obvious throughout the looks due to the materials focused on; lace, silk and even within the smaller details like the hanging embellishments. However, the deconstructed coats and bustier tops stood out for me as most relevant to my project. I find the silhouettes of the garments, particularly this image on the left to be most inspiring. I really like how the lace underlays the silk bustier, but covers the entire length of the body, leading to the floor. To deconstruct my garments, i think it would be useful in examining these as i practice styling. This is because of the interesting silhouettes made from the clothing and may help me make the outfits more fashionable, instead of really conceptual and unusual. 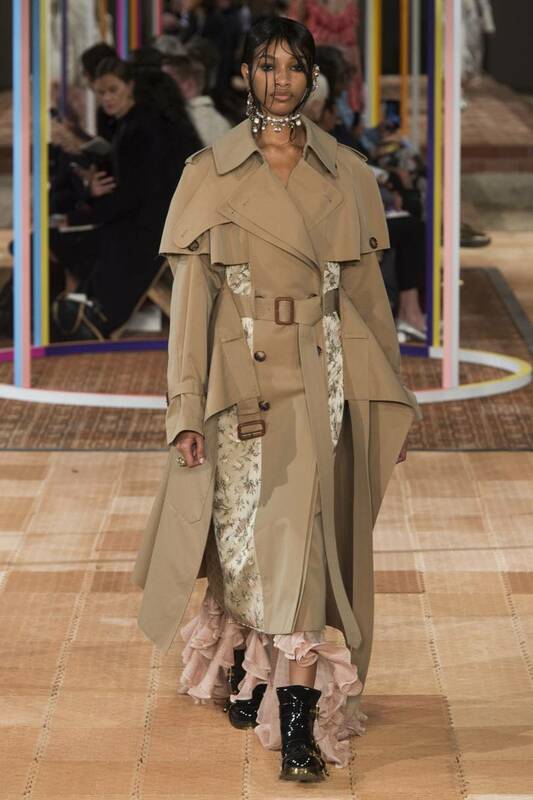 I also like this use of layering a dress or long top over trousers and building up multiple bottom or top clothing ideas on top of one another. Maybe this could work well with skirts and shorts too and i now want to get onto experimenting with these ideas to create something similar.